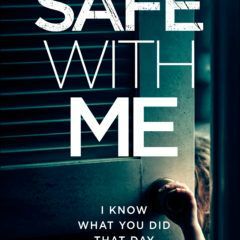 My bestselling digital psychological thrillers, SAFE WITH ME, BLINK, LIAR, THE MISTAKE, THE VISITOR, THE SECRET and CLOSER have now sold over ONE MILLION copies in total. Thanks so much to YOU, my amazing readers, for enabling me to hit this milestone in just under two years! Translation rights have so far been sold in eight countries. My eighth thriller, FINDING GRACE was published by Bookouture on 14th February 2019 and the ebook is now available to buy from the retailers below. All my books are available digitally from Amazon, Kobo, iTunes and GooglePlay. The paperback and audio (Audible) versions are also available online. I’m very excited that during 2018/19, Sphere (Little Brown) will be publishing my titles in paperback in the UK and Grand Central in the USA. If you’ve read and enjoyed any of my titles, I’d be tremendously grateful if you could spare just a couple of minutes to leave a positive review on Goodreads or one of the above retailers. Thank you so much! 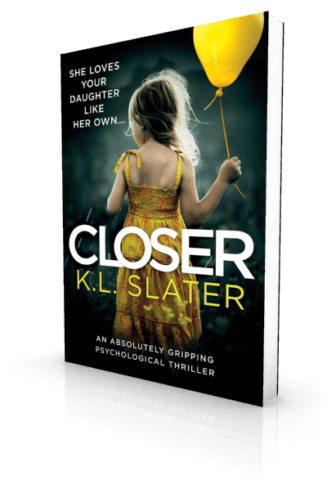 If you’d like to get in touch, please do so via the Contact page of my website or at KLSlaterAuthor@yahoo.com. I also have an author page on Facebook and a Twitter account (@KimLSlater). I will try my very best to reply as soon as I can.